The Toilet Paper Roll Crafts for Kids season continues… this Winter we have had a Toilet Paper Roll Rudolph, a Toilet Paper Roll Santa and of course our Toilet Paper Roll Snowmen (bowling – a great Toilet Paper MATHS learning activity too). 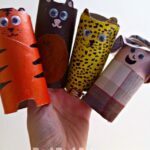 It has been Toilet Paper Roll busy indeed! 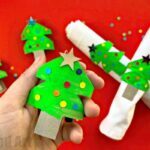 Don’t forget our little Toilet Paper Rolls 3 Kings, which would be a great addition to any nativity scene (I have popped all these Toilet Paper Roll Crafts for Christmas in one place for you!). 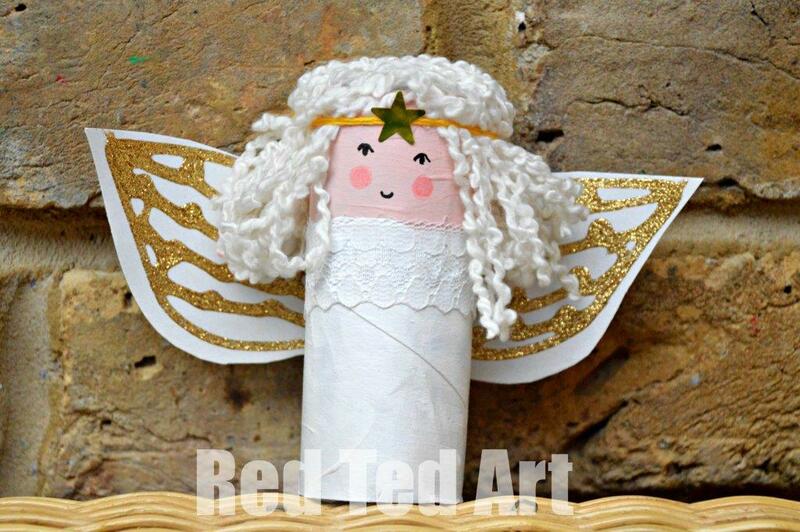 I have “meaning to” to make Toilet Paper Roll Angel Craft for Kids for AGES. 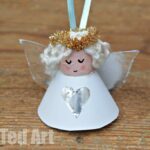 Nothing quite like a lovely Angel Ornament at Christmas! And for some reason we never really got around to it. Until now. And as my kids LOVE painting so much, we ended up making six! 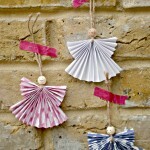 Please note… you could do these without painting too – I know paint isn’t everyone’s cup of tea! Pointers in the instructions! The above SOUNDS like a lot, but we improvised with what we had in the house… have a look at what you have already and see how you could replace any items you don’t have handy. 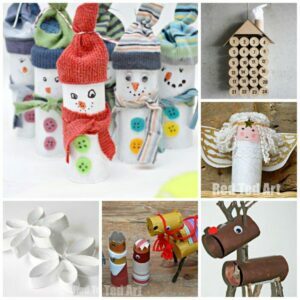 I pretty much used “recycled”/ left over materials only. Thrifty all the way! 1) The kids painted the top 1/3 pink and the bottom 2/3 white. If you don’t like painting, you could use white fabric (e.g. an old sheet or old shirt) to wrap around the bottom. For the face, stick on a rectangle of pink paper and wrap it round the loo roll. 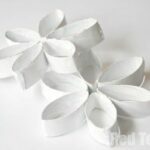 2) We then cut out some angel wings – from some card that we got out of a shirt packaging – you know the card that is inserted to keep stiff and neat looking in the shop? It was already white, so super handy! 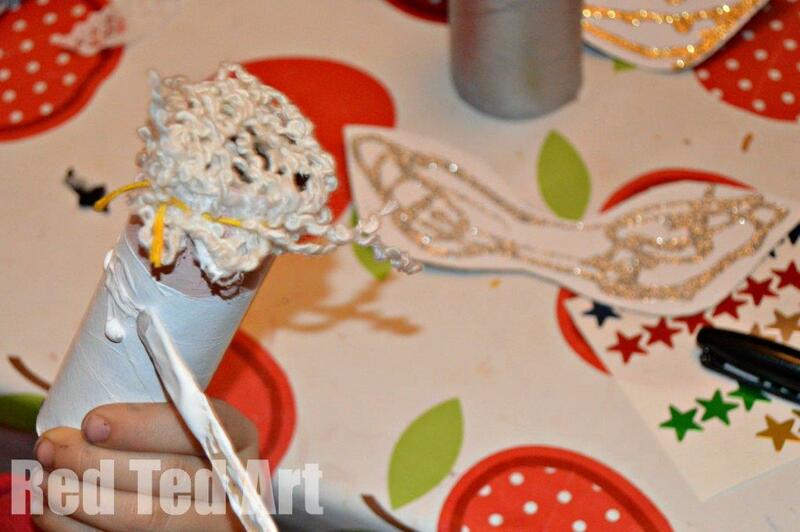 The kids used glitter glue to decorate. 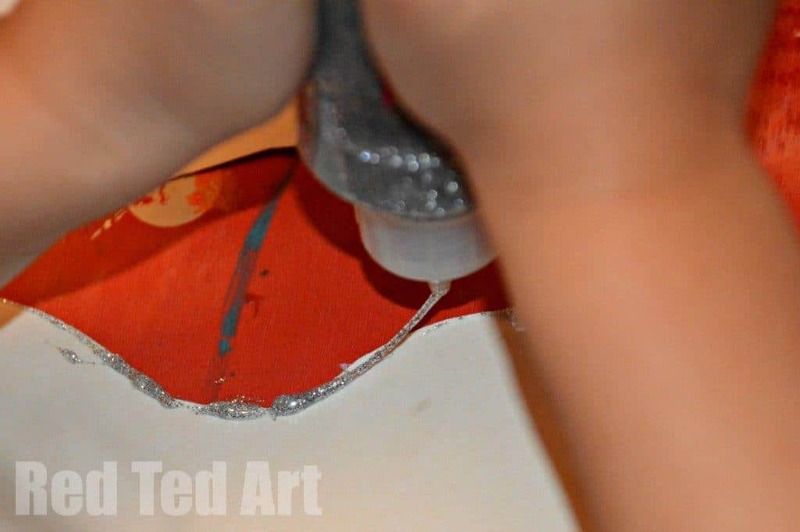 I was impressed at how their control over the glitter glue was coming along. If you don’t have glitter glue, you could decorate the wings with pens or stickers. 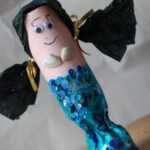 Or PVA and loose glitter. 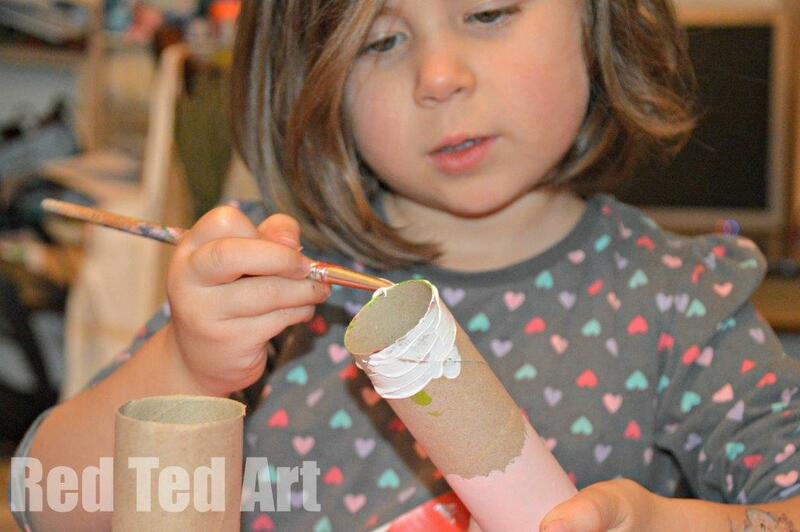 How to make your Craft Tube Angel’s hair! 3) Once dry, we added hair – we wrapped some wool around a CD case. Added lots of glue around the sides of the head and then placed the wool on top and arranged it, so it looked even and stuck to the loo roll. If necessary add a few strands here and there. 4) We then tied the embroidery thread (2 strands) around the head – this helped tidy the hair a little, keep it in place and also made a little halo type decoration, once you added the star at the front. 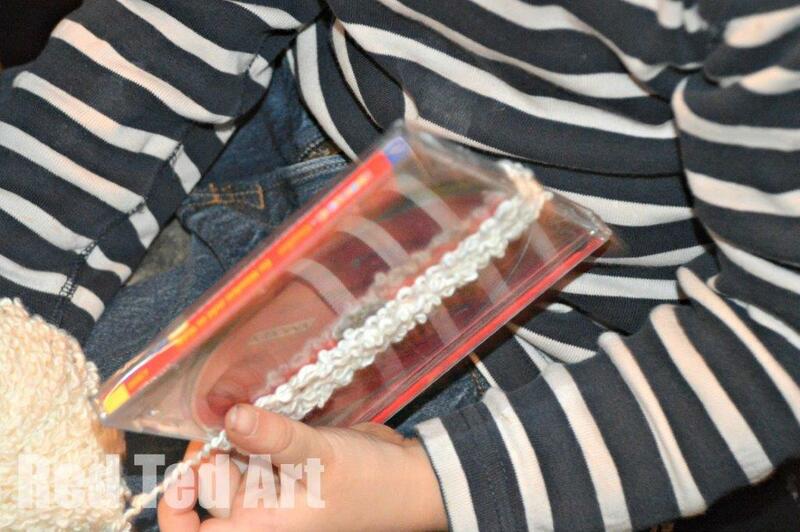 5) The kids then added one strip of lace – I would have been happy to wrap it all in lace, but one seemed plenty. 6) Add a face with pens (the kids insisted on copying mine…). 7) Glue on the wings and let dry. I love that the kids added the little bells from a Chocolate Santa they got on St Nic’s Day. 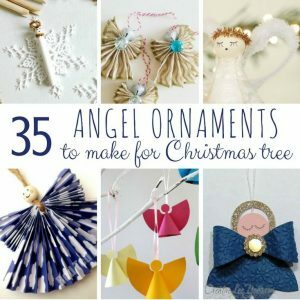 Also, they each put an angel on one of their Fake Christmas Trees that they have in their bedrooms. Aaaaah! Finished! I think they make BEAUTIFUL Angels for the top of the Christmas tree. We are so pleased with them! 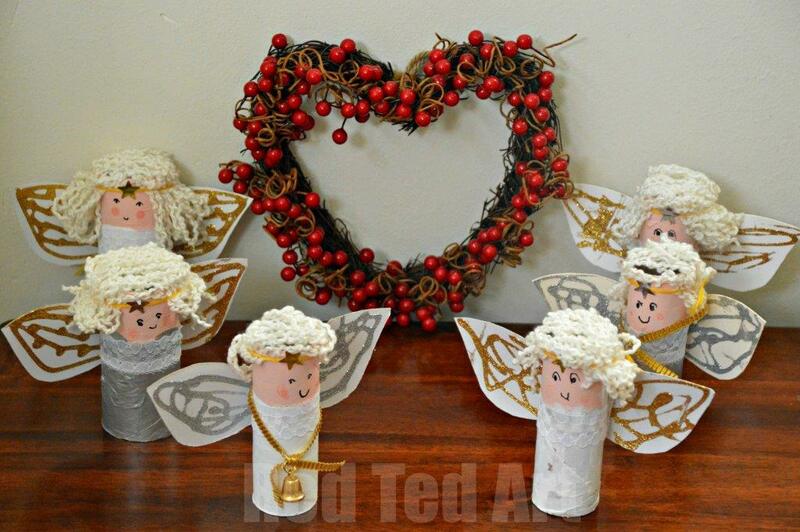 Hope you loved these darling Toilet Paper Roll Angels as much as we do! 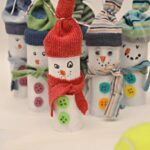 Toilet Paper Roll Snowmen (bowling – a great Toilet Paper MATHS learning activity too). 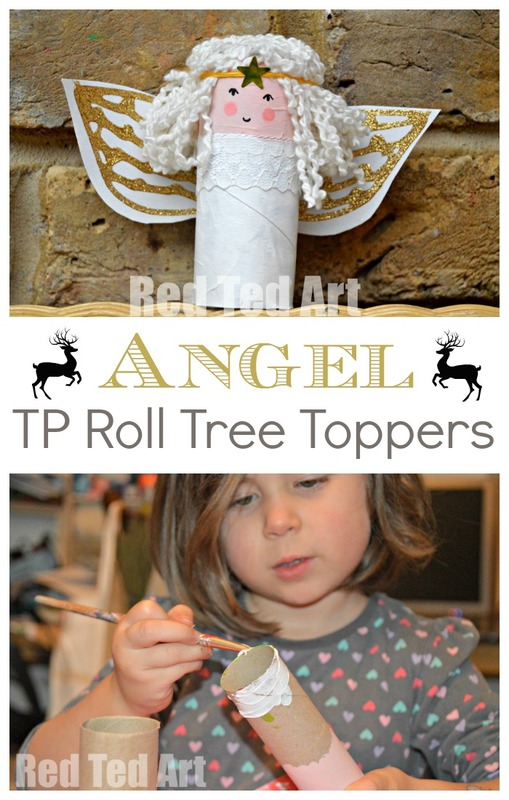 Have fun making your TP Roll Angels!!! They are amazing. I am loving the use of wool – would make a great beard too. Thank you for your further inspiration. What a sweet craft! I really love it. Yes! I sooo know the feeling! Time is just running away now, isn’t it? Hope you are enjoying yourselves though! Ahh lovely! Enjoy and thank you for pinning!